"This crypto fascist never bothered to build a base in the Party and now that his only faction, Newspoll, has gone, so has he." So, the great moral issue of our age is not climate change but the need to retain political power, not only government power but also factional power inside the Labour Party. 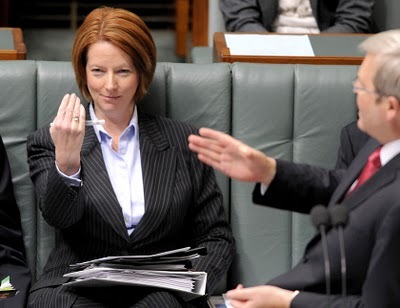 There is little difference between ex PM Rudd and new PM Gillard. The main reason for the change is that the factional bosses of the Labour Party seized their chance to remove Rudd who had refused to play their game by ignoring them whilst relying on his direct electoral popularity (which faded once he renounced his climate change scheme). Ironically, Gillard has little time for the factions either but when presented with the opportunity to become PM she couldn't resist. Because of the 2008 economic crisis I decided to study political economy seriously, something which I had previously put into the too hard basket. This study was and is difficult for me and was proceeding too slowly so I have taken time off work this year to move it along. I'm about a third of the way through but have read enough to say it is very good. 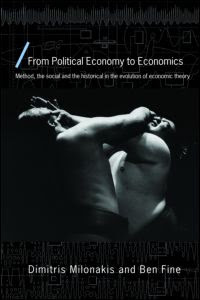 Tracing the history of how the methodology of economics went so wrong provides insight into a big part of the solution of what to do to repair the enormous damage that has been done. And the damage goes back over a century. Obviously there is a need to make many new economists political economists who understand how it should be done, rather than universities continuing to churn out narrow econometrics experts, who don't understand the big picture. How are we going to overcome a hundred years of narrow economics inertia? Make a start by buying and reading the above book. btw I'm now buying books through The Book Depository since they have free delivery, which saves a lot. Bligh has ignored Macklin's attempt to broker a peace deal. It is not possible to convey the intensity of the feelings I harbour for these bastards. It is not their contempt for Aboriginal people. It is not their utter lack of principle. It is the torment of our own powerlessness that gets me. The powerlessness of Aboriginal people to hold a position of dignity in this state - in this country, which is supposed to be our country, too. How can the 3 per cent mouse deal on a level playing field with the 97 per cent elephant? How can Aboriginal people be dealt with fairly in a governmental system in which we have no adequate representation? If this leader of this system of government in Queensland has done anything, she has made the choices clear for our people. 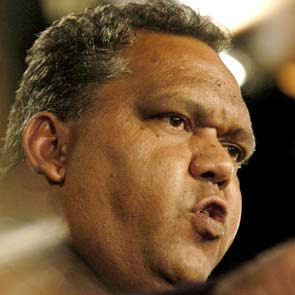 Either there is structural reform that accords to Aboriginal Australians sufficient power to hold our own in the institutions of government in this country, or the Aboriginal rights movement will have to become more radical than it has ever been. The proper Latin meaning of radical is root. The root cause of our malaise as a people is the torment of powerlessness we endure at the hands of those in power, who see us as nothing more than a mendicant people. Bligh redoubled our awareness of our condition this week. We either become steadily weaker and sicker as a result of this torment, or our call for power must become more radical.